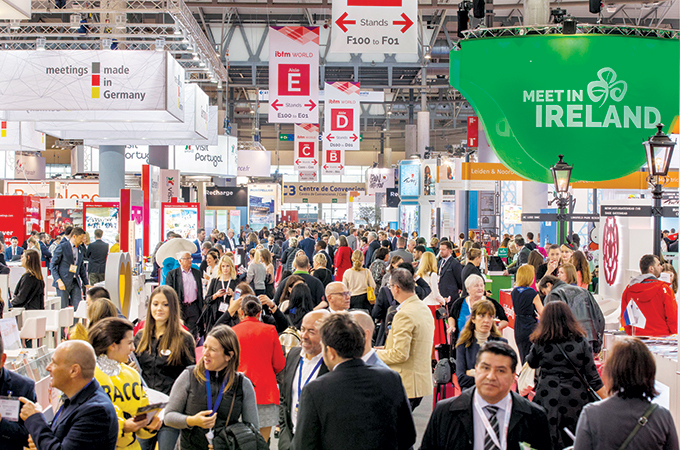 The 30th anniversary edition of IBTM World 2017 – which took place at Fira Gran Via, Barcelona, from November 28 to 30 last year – saw over 74,000 appointments (up 23 per cent compared with 2016) during the three-day event, setting a new record for the show. Some 3,000 exhibiting companies from over 150 countries were joined by 3,463 buyers and thousands of visitors for a packed schedule of meetings, networking and high quality educational sessions. Exhibitors hailed IBTM World 2017 a great success. “IBTM this year has been really good for us. We’ve had an amazing number of appointments – close to 1,000 have taken place over the three days. In addition, we’ve had more than nine group presentations with approximately 100 Hosted Buyers and we hosted a client event last night in an off-site venue in Barcelona with more than 100 Hosted Buyers in attendance, so the engagement that we’ve experienced this week has really been tremendous”, said Steen Jakobsen, director, Dubai Business Events & City Operations. Commenting at the close of IBTM World 2017, IBTM’s portfolio director, Kerry Prince, said: “In the twelve months preceding this year’s event, we spent a huge amount of time analysing and sourcing data and speaking to our customers to truly understand how we can best service their needs. On the back of this we made several changes and innovations, including introducing an enhanced Hosted Buyer programme, adding two renowned keynote speakers to the education programme and introducing the Start-Up Pavilion for new and emerging tech companies. Kerry continued: “It has been fantastic to see first-hand the positive impact of the changes we’ve made. Ahead of the event we broke our record for the number of appointments made and not only have we received very positive feedback on the quality of those meetings – and seen deals done on the show floor – but also, we’ve been able to manage and reduce the number of ‘no-show’ appointments – all of which makes a real difference to our attendees.